Find your future! Careers pathways, Further Education courses, Apprenticeships, Progression Opportunities - learn more about careers within the East of England. 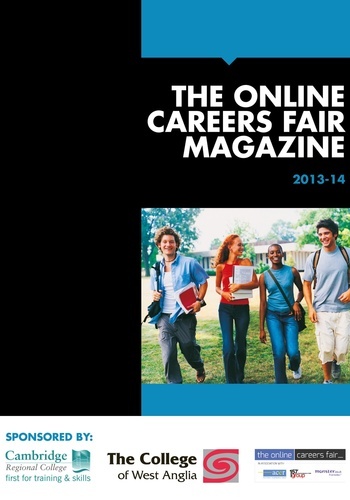 (This magazine complements The Online Careers Fair, produced by ACER (Association of Colleges in the Eastern Region), Monster UK and supported by the 157 Group).